The community relations team has posted the following update, for Publish 69.6 that is going to be pushed out to all shards during the normal shard maintenance windows. 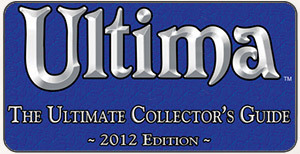 This publish went live on Origin yesterday. Tomorrow, during regularly scheduled maintenance, Publish 69.6 will be released on all shards. Share the love and in the meantime we wanted to share the notes for your reading pleasure, thanks! * Happy Valentine’s Day! Please make sure you check your picnic basket for your Valentines gift. (Note: The gift does not have any properties so please do not buy anything that might state otherwise). Please make sure you sign in before March 9th to get your gift. * Gypsy camps have been disabled temporarily while we investigate their relation to an issue causing items to be destroyed. Love it or hate it, the snow is going to finally be gone. The Cliloc updates are most likely related to the Valentine’s gifts. 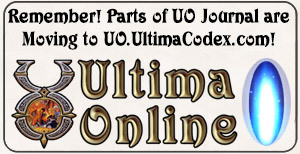 UO Journal Note: If that Valentine’s Heart/UO icon looks familiar to you, you’ve been around – it’s from the old Ultima Online website, UO.com, from at least February of 2000.